AMD’s mainstream AM4 platform is here to stay and while it may get updated features and new chipsets in the run, it will support AMD’s current and next-generation Ryzen processors. Now a new rumor has popped up from Gamer.com.tw where a slide lists down the upcoming X570 PCH along with its most significant feature. 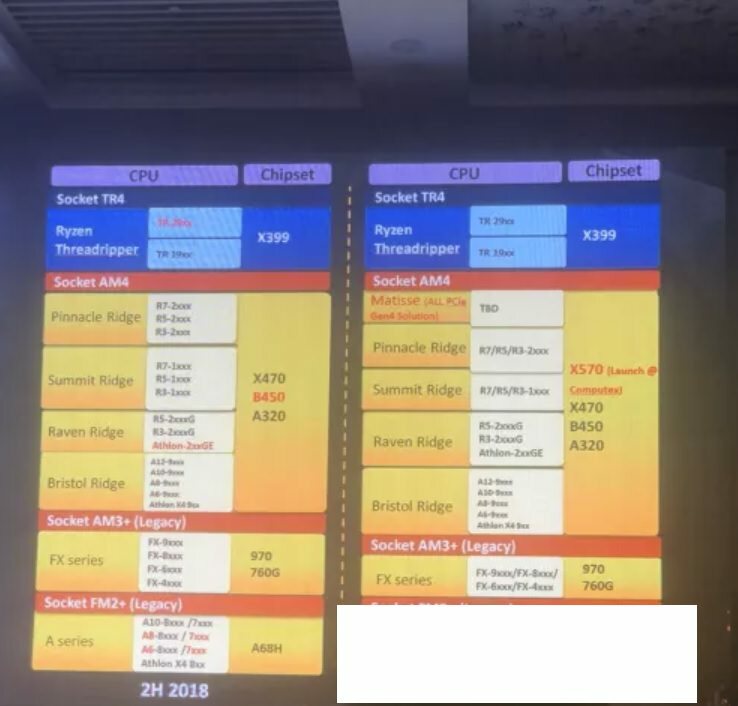 In one slide that was allegedly presented by Gigabyte, it is mentioned that Matisse, the codename for the upcoming Ryzen family, will be getting a new chipset known as the X570. The entire Ryzen family of processors is forward compatibility with the new chipset while the new processors will be backward compatible with the older chipsets but if you’re to get the best feature support from the new Ryzen CPUs, it is better to get a new X570 motherboard. As we saw with X470, there were a few features for the Ryzen 2000 series processors which were only supported by new motherboards such as Precision Boost Overdrive and XFR 2.0. There’s no doubt that AMD’s Zen 2 based Ryzen mainstream processor family would come with new features but the main highlight that is mentioned within the slides is support for PCIe Gen4. The slide calls Matisse as an all PCIe Gen4 solution which means this would most probably be the first consumer platform to feature support for the new PCIe standard. The launch of the X570 chipset and respective motherboards is pitted for Computex 2018 which makes a lot of sense. 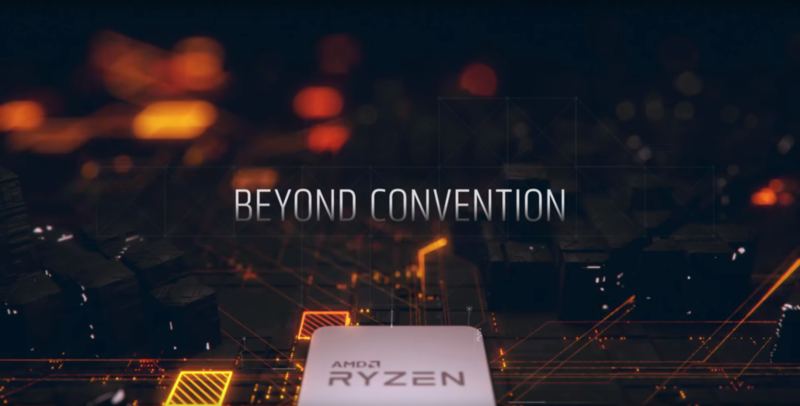 As the biggest consumer PC hardware trade show, AMD may hold an event where they announce their new Ryzen 3000 series family. At the previous Computex event, AMD unveiled their Ryzen Threadripper 2000 series processors. This would also allow motherboard manufacturers to showcase their new X570 solutions to attendees of the event. One detail that is not mentioned is that if a Computex 2019 (mid of 2019) launch is planned for Ryzen mainstream, then the EPYC Rome processors which will be the first launch on the new 7nm process node would be arriving earlier. The Ryzen 3000 series processors aim to feature key IPC and efficiency improvements over the existing Zen+ parts which are basically an optimized version of Zen 1 parts based on the 12nm process node. TSMC’s 7nm process would allow AMD to squeeze out more clocks than the GloFo made Ryzen 1000 and Ryzen 2000 series parts, allowing for higher performance to end users. We don’t have more details but expect more details around CES 2019. Most people think that Zen 2 is nothing more than a generational Frequency / IPC bump. That is a very wrong assumption as Zen 2 as an architecture is entirely overhauled. The jump from Zen to Zen+ was one incremental step, the jump from Zen+ to Zen 2 aims to be a revolutionary step. Yes, the rumors claim that the IPC improvement and higher clock speeds are there. They also mention that those are higher than expected on very early engineering samples. This shows that final retail samples could be more than 15% IPC jump versus what we have been hearing for a while. But it doesn’t end here. Zen 2 is also aiming to fix and improve upon the memory controller by reducing the memory delay and allowing better support for higher frequency, lower latency memory. This is great considering the consumer PCs already have access to fast memory but it is also crucial for the server market, which currently relies on higher bandwidth access directly from the system memory. EPYC ‘Napes’ disrupted the performance charts with stellar bandwidth increases and reducing delay could get it up to speed with competitive Xeon platforms too. The other thing being talked about is AVX support. It is said that Zen 2 won’t support AVX-512 but will definitely get AVX performance enhancement compared to what Zen 1 can do right now. The clock speeds also get a huge jump, thanks to both, the TSMC 7nm node and revamped architecture design and one can also expect refined boost frequencies, allowing for higher XFR and Precision Boost limits. Which 2019's mainstream processor platform are you most excited about?